This year is the year of anniversaries for Green Day. 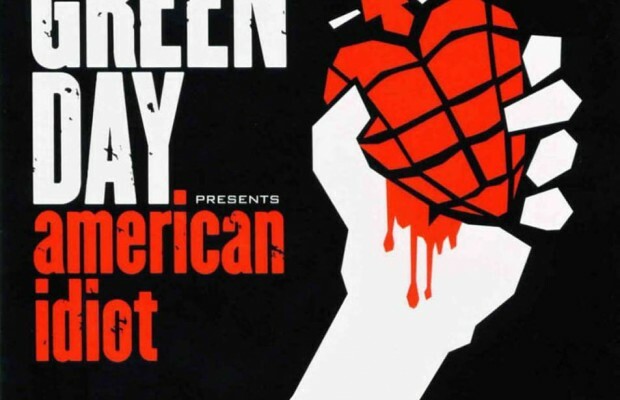 Their first hit album ‘Dookie’ turned twenty earlier, and today marks the 10 year anniversary of ‘American Idiot’. Instead of revisiting the album, its songs, or the band’s loud revival after 1994, I will rather tell about why it is special on a personal level. Ready…Set…Story-time! Up until ten years ago, I had no idea about who Green Day were, yet about the influence they had on the nineties era of rock music and the young generation of those days. How could I have? I was thirteen years old, with my musical interest focused on the mainstream pop my classmates were into, and had zero clue about this other scene; well, living under a rock if you want to call it. Then out of the blue, ‘Boulevard of Broken Dreams’ and ‘American Idiot’ took both the radio and music channels by storm – not to mention the album charts. Those songs were so different from all the pop infused playlists you heard all day long, I completely fell in love with it. It was the perfect time for changing my liking: Britney Spears has never been my thing; and as much as I liked her early years, Avril Lavigne lost credit soon afterwards anyway. Instead, I got to know my generation of punk and rock like Good Charlotte and SUM 41 who also released new albums and were all over everywhere that same year. And the list goes on and on. The point is listening to Green Day for the first time made me the person I am today. It was also the first time I started to care about something on a serious level. Although I don’t play any instrument, nor ever had a band to be part of but music has been a huge part of my life since then. I just wish they released a new album this year (just to keep the one-number-one-album-in-every-ten-years scheme) that could’ve become just as influential as ‘Dookie’ and ‘American Idiot’, so teens today could relive a similar experience as I, and sure many other people, did previously. Some people say music saved their lives. I definitely wasn’t that drastic, but in one way or another, it changed something in me, too, for sure. This is the reason ‘American Idiot’ will always be one of my top special albums.